Wayne McGregor, one of the brightest stars on the international dance circuit, brings his London-based company, Wayne McGregor | Random Dance, to Peak Performances for the American premiere of “Atomos” at the Alexander Kasser Theater in Montclair, NJ, March 15-23. While McGregor is known for integrating up-to-date scientific research into his choreographic process, his dances radiate with an emotional poetry and physical urgency that belies their origins. Case in point: “Atomos,” whose title is Greek for indivisible. On a stage saturated in Lucy Carter’s spectacular colors and designs, and beneath seven video screens suspended from above, the Random dancers inhabit moves simultaneously sensual and cool. The dance is dominated by striking duets and trios in which the dancers’ splayed, dislocated limbs create radically new shapes as their bodies melt into each other, momentarily becoming one with the other. Behind them, the 52-inch, 3-D video screens are filled with evocative and evolving imagery enhanced by the 3-D glasses worn by the audience. The dance, a feast of color, design and restrained emotion, is performed to a commissioned score by the composer/musicians A Winged Victory for the Sullen joined by members of the American Contemporary Music Ensemble. The music will be played live. The film and set photography is by Ravi Deepres, and the costume design is by Studio XO. The third McGregor dance to be seen on the Kasser stage, “Atomos” received its world premiere in October 2013, at Sadler Wells, where Random is in residence. The Alexander Kasser Theater at Montclair State University is located at 1 Normal Avenue, Montclair, New Jersey 07043. Tickets are $20, and are available at the box office, www.peakperfs.org, or by calling 973-655-5112. The box office opens July 1. Charter bus service is provided from New York City’s Port Authority Bus Terminal – arcade on 41st Street between 8th and 9th Avenues – to the Alexander Kasser Theater ($10 per person, round trip) for all Saturday and Sunday performances. Bus reservations may be made by calling 973-655- 5112 or by visiting www.peakperfs.org. For train service, available only on weekdays, go online to www.njtransit.com or call 973-275-5555. Atomos is co-produced by Sadler’s Wells, London, UK; Peak Performances @ Montclair State University, New Jersey, USA; Movimentos Festwochen der Autostadt in Wolfsburg, Germany; Festival Montpellier Danse 2014. Atomos is co-commissioned by Fondazione I Teatri, Reggio Emilia, Italy; Trinity Laban Conservatoire of Music and Dance, London, UK. 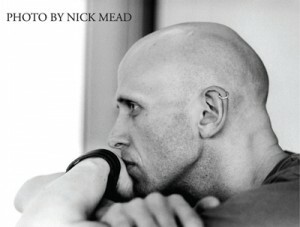 Wayne McGregor is a multi-award-winning British choreographer and director, internationally renowned for his physically testing choreography and groundbreaking collaborations across dance, film, music, visual art, technology and science. He is Artistic Director of Wayne McGregor | Random Dance, Resident Company at Sadler’s Wells, and Resident Choreographer of The Royal Ballet (appointed 2006). McGregor has created new works for Paris Opera Ballet, San Francisco Ballet, Stuttgart Ballet, New York City Ballet, Australian Ballet, English National Ballet, NDT1, Rambert Dance Company among others. His works are also in the repertories of the leading ballet companies in the world including the Bolshoi, Royal Danish Ballet, National Ballet of Canada, Boston Ballet and Joffrey Ballet. He has directed movement for theatre and film including Harry Potter And The Goblet of Fire, and has choreographed music videos including the Grammy-nominated Lotus Flower video for Radiohead, and Ingenue for Atoms for Peace. He has also directed opera for La Scala, Milan and the Royal Opera House, London, and choreographed for plays, musicals, fashion shows and art galleries including site specific installations at the Hayward Gallery, Saatchi Gallery, National Gallery, Canary Wharf, Glastonbury, the Pompidou Centre and for Secret Cinema. Most recently he choreographed Atomos for Wayne McGregor | Random Dance, Raven Girl for The Royal Ballet and Borderlands for San Francisco Ballet. In July 2012 he created a large-scale public dance work with 1000 performers, Big Dance Trafalgar Square, part of London 2012 Festival. Next year he will premier a new work for The Royal Ballet. McGregor’s work has earned him three Critics’ Circle Awards, two Time Out Awards, two South Bank Show Awards, two Olivier Awards, a prix Benois de la Danse and a Critics’ Prize at the Golden Mask Awards. In January 2011 McGregor was awarded a CBE (Commander of the Order of the British Empire) for Services to Dance. Programs in this season are made possible in part by funds from the National Endowment for the Arts; the New Jersey State Council for the Arts/Dept. of State, a Partner Agency of the National Endowment of the Arts; Discover Jersey Arts; the Mid-Atlantic Arts Foundation; the National Dance Project (NDP) of the New England Foundation for the Arts; and The Andrew W. Mellon Foundation.